1.6.1 What is the difference between LNG and NGL? For the oil and gas industry, oil must be transported from upstream oil producers to downstream refiners and marketers. The energy infrastructure (midstream) industry encompasses the gathering, processing, transportation and storage of hydrocarbons and their derivatives. This includes oil (or liquids) pipelines, gas pipelines, refined product pipelines, natural gas liquids (NGL) pipelines, crude-by-rail, trucks, barges, LNG plants, oil batteries and gas storage (salt caverns, aquifers and depleted wells). Interstate/province and international pipelines are heavily regulated and are allowed a reasonable rate of return by the energy department of a federal government (FERC in the US, National Energy Board or NEB in Canada). Each additional project has to be approved by a variety of boards. Pipelines require large capital expenditures to build, but offer stable returns after due to the long-lived, contracted nature of the assets. Pipeline and midstream companies are major clients for the investment banks and generate millions in fees across multiple products. Primary coverage will be handled out of Calgary. Pipelines regularly tap into equity capital markets to fund new projects, whether issuing straight equity, selling off shares in MLP subsidiaries, or issuing preferred shares. Pipelines will tap into debt capital markets for new issues and regular long-tenor refinancings (to match with long-lived assets), and some pipelines will issue equity-linked bonds (convertibles). There are large amounts of debt in a pipeline’s optimal capital structure (stable nature of business). There is also a host of mergers and acquisitions (recent M&A including Enbridge-Spectra and TransCanada-Columbia) and corporate finance activity such as asset drop downs and spin-offs (Husky Midstream) that keep bankers busy. To participate in the relationship, pipelines require banks to extend large amounts of credit through their corporate banking divisions, mostly in the form of revolver capacity, but also term loans or other more permanent capital to fund projects. The corporate bank will also interact with corporate credit and risk management in order to approve credit lines as pipeline treasuries are sophisticated and look to transact on a variety of capital markets trades involving interest rates, FX, commodity hedging and equities (total return swaps). Energy infrastructure companies are large, natural monopoly like entities that are influential players in the oil and gas industry in North America. Two of the largest midstream companies in North America are Canadian – Enbridge (which recently consummated a merger with Spectra Energy) and TransCanada (which recently acquired Columbia Pipeline). Other major North American midstream companies include Plains All-American, Kinder Morgan, Energy Transfer Partners, Williams and Enterprise Product Partners. Integrated oil companies such as Shell or BP will also have extensive midstream networks which help them secure transport and storage for their production. 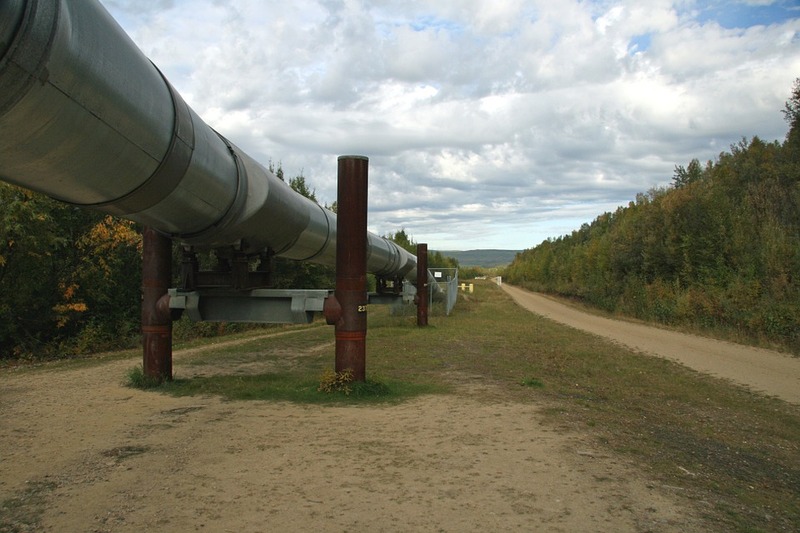 Other prominent Canadian midstream companies include Altagas, Alliance Pipeline (JV of Enbridge and Veresen), Pembina Pipeline, Keyera, InterPipeline, and Veresen. As a liquid (as opposed to natural gas), oil is a flexible commodity and can be transported via various mediums. If the oil cargo’s destination is on the same continent, oil and gas companies will usually prefer to transport oil by pipeline due to the relatively low cost. However, when pipeline is not available, other options include railroads, trucks and barges. When pipeline capacity is not available for Canadian oil sands producers, there is a bottleneck and the differential between West Texas Intermediate or WTI (the North American oil benchmark) and Western Canadian Select or WCS (the Canadian heavy oil benchmark) widens. As long as the price of transporting the crude by rail, truck or barge is lower than this differential, the company can earn incremental profits by transporting the oil to Cushing (where WTI settles) as opposed to Edmonton/Hardisty (where WCS settles). In addition, there are several benefits to moving by rail or truck. Rail is much faster than pipeline (Canadian Pacific Railway trains move oil above 20 miles per hour whereas pipelines move oil around 5-7 miles per hour), rail tracks are much more flexible than pipelines (pipeline construction has long lead times and high capital requirements as discussed below) and can carry different types of crude (blends are separated by boxcar whereas the fill for the pipeline must be the same so to not change the characteristics of the crude). Trucks are even more flexible than rail (access to large highway system in North America), but more expensive (diesel for trains has scale advantages over trucks). Despite a lack of environmentalist pressure on oil movement via rail and truck, they are more dangerous than pipelines when measured by spills or explosions, especially when carrying light, pressurized crude such as Bakken Light. Long term pipeline profitability is dependent on increasing oil supply (production ramp-ups) in the area it services. For Enbridge and TransCanada, the backlog of planned projects in the Western Canadian Sedimentary Basin is well supported as the total oil production each year on a go forward basis is larger than the pipeline crude oil takeaway capacity. This ensures that pipelines will be able to find shippers (oil producers or marketers who ship the oil through the pipeline) that will lock in long-term contracts. Canadian pipelines are prudent compared to many US pipeline companies, who are highly levered and do not have the long contracts with creditworthy (investment grade) shippers that Enbridge or TransCanada have. New pipelines for Enbridge and TransCanada will only be commissioned if they have sufficient shippers to lock in adequate returns for shareholders. There are many agreements that pipelines will enter into with shippers, with Canadian pipeline companies preferring take-or-pay contracts. Take-or-pay eliminates commodity price risk and eliminates volume risk. Take-or-pay means that the shipper is contracted for a certain amount of capacity per day for the life of the contract, and whether they use the capacity is irrelevant as they are paying for it. Other terms and conditions are unique to the contract – for example, a shipper may agree to pay a base fee for capacity and a further fee for utilization – however the main agreement remains paying regardless of usage. For capacity that is paid for but not used, the pipeline can sell that capacity opportunistically. Cost of service allows the pipeline company to charge the cost of service for shipping oil plus a regulatory allowed return on equity. This type of contract does not have commodity price or contractual price risk but may have volume risk implications. Fee based contracts imply that the pipeline company charges a fee for volumes shipped. The fee may vary based on factors such as volume and price ceilings set by regulators, but generally these contracts do not have commodity price risk. Fee based revenues have volume risk as there is no guarantee that oil will be shipped through the pipeline. For certain pipelines, a portion or all of the payment may be in-kind (a percentage of the energy content shipped). This arrangement has commodity and volume risk. A pipeline can take on the most price and volume risk by purchasing the oil from the oil producer and marketing it to an end user. Returns must be high to compensate for the risk taken. Gas is extracted by E&P companies, whether they specialize in extracting gas or it is gas that is a byproduct of oil production (also known as associated gas). This raw gas contains impurities such as water and sulphur, as well as valuable byproducts such as NGLs and condensate. If the raw gas has no NGL content, it is known as dry gas. If it has NGL content, it can be considered wet gas or liquids-rich gas. is gathered by gathering pipelines to a local gas plant where it is processed and treated. The NGLs are stripped out from the raw gas and sent for further processing. Inlet separation is the initial separation process where raw gas enters a vessel and is separated from NGLs. The natural gas is treated to remove water and sulphur (sulphur content in gas is sour gas, where the absence of sulphur makes it sweet gas) before it can be transported further in federal natural gas pipelines. Once the gas is treated (removal of carbon dioxide and sulphur via hydrogen sulphide H2S), sulphur is isolated from the hydrogen and sold as a fertilizer and petrochemical feedstock. The removed NGL will undergo its own process of processing, fractionation, storage and transport. Usually the ethane stream (the second lightest NGL) is removed via de-ethanization before the other NGLs are fractionated at a fractionation plant. A common fractionation process is turbo expansion, whereby gas is expanded and cooled rapidly to extract a high % of NGLs. Gas processing plants should be positioned where returns are favorable. To justify project economics for a new gas plant, throughput of regional gas extraction projects coming online must be considered. Getting the appropriate committed volumes with gas producers is important. A good midstream company accordingly improves the frac spread (sale price of separated NGL components vs the energy content of the raw gas purchased). A widening differential leads to more costly transport/midstream becoming economical. What is the difference between LNG and NGL? LNG is liquefied natural gas. Natural gas is methane or CH4 – the simplest hydrocarbon. Natural gas is liquefied via cooling the natural gas to extremely cold temperatures, reducing the volume to 1/600th of that of natural gas at normal temperatures. In this state, natural gas can be shipped globally to demand centres (Asia for power generation). Usually, natural gas is transported through natural gas pipelines until reaching water, where they are liquefied at a liquefaction terminal before being shipped in LNG tankers to their destination, where the gas is regasified at a terminal for use. Natural Gas Liquids (NGL) are longer hydrocarbon chains found in raw natural gas streams, but are liquid in their underground state. Natural gas liquids are ethane, propane, butane, isobutane and pentane – all of which have their own industrial uses as fuels or petrochemical feedstocks. NGLs are stripped from raw natural gas and moved through NGL pipelines. Oil is an easily substituted commodity but prices vary between different grades and benchmarks. The difference in pricing can be explained by characteristics (viscosity, sweetness/sulfur content) and logistics (distance and available infrastructure to end user/refinery). WTI, which is of superior quality to Brent, usually trades at a discount to Brent due to the landlocked nature of WTI. Light oil is easy to transport through pipeline due to the low viscosity. Heavy oil is difficult to extract, harder to process and difficult to move due to the higher viscosity. Due to the difficulty in processing and movement, they are better candidates for trains than light oil due to the differential (but still prefer pipelines). Often, heavy oil and bitumen will be blended before they can be moved. Diluted bitumen (bitumen plus diluent such as condensate) is known as dilbit and can be moved through some pipelines. Raw bitumen or rawbit is solid and is better moved via train. Synthetic or upgraded bitumen is known as synbit and can be moved through pipeline. To make a project feasible and compensate the owner for risk, pipelines enter into contracts with offtakers before they are even built to ensure that the builder will recoup the investment. For example, if Shell wants El Paso (now owned by Kinder Morgan) to build a pipeline to their refinery, they will agree to a take-or-pay contract that means that they are paying for a minimum volume and additional for any extra. The commissioning of a midstream asset requires a feasible business case and contracts with committed shippers and lenders. As an example, if Suncor requires a diluent pipeline to carry condensate to heavy oil production, it will collect bids from midstream companies. Enbridge puts together a plan to build a diluent pipeline to the oil sands production site and Suncor commits to 200,000 barrels of diluent a day for 15 years. Now, Enbridge can lock in a return. Enbridge goes to lenders (corporate banking or a separate project finance division of the banks) who are satisfied with the shipper’s (Suncor) credit risk and the contracted nature of the diluent pipeline. Pipeline construction is a long process which begins with an existing or foreseen bottleneck that requires infrastructure to clear a glut of supply. Pipeline companies will want shippers to commit to the pipeline in terms of contracted volume over long duration contracts exceeding 10 years. After securing shippers, where less creditworthy ones will have to be backed by a bank via a letter of credit, most pipelines are project financed to help the pipeline meet its equity return hurdle. As banks do not take on equity risk, it is even more important for them to ensure that the shipper quality is sound and often there are positive covenants in the project finance agreements that shippers are highly-rated or secured via a strong financial institution. Canadian banks have strong project finance businesses for pipelines, partially due to a lower cost of funds as they have large deposit bases in the country. However, some banks with an even lower cost of funds (Japanese Bank of Tokyo-Mitsubishi UFJ, Sumitomo Mitsui Banking Corporation, Mizuho Bank, certain European banks who may actually pay no interest to depositors or charge them money) can be very competitive in the PF space. Pipeline demand is well supported in Canada, with the Western Canadian Sedimentary Basin projected to be short 500,000 barrels per day of pipeline capacity versus for export production – however Canada is an increasingly difficult operating environment due to regulatory and social (environmentalist and First Nations engagement) issues and Canadian pipeline companies are choosing to enter into projects in Mexico and the US instead where returns are higher and government risk is lower. Enbridge and TransCanada are “normal” corporates in Canada, as opposed to pass through entities that many pipeline companies are in the US. Pass through entities or S-Corps pass on earnings directly to investors, so that investors do not suffer from double taxation. The catch is that earnings must be passed on so any new projects may have to be funded via equity or debt issuance at the corporate level. The initial idea behind S-Corps was to encourage retail investors to fund infrastructure. Usually, the S-Corp is operated by the traditional C-Corp or corporation, which will control the S-Corp through a General Partner-Limited Partner structure. For pipelines, the S-Corp is usually through a Master Limited Partnership model, or an MLP model. Despite being unable to use the S-Corp model in Canada, Enbridge and TransCanada use the S-Corp for their US operations via Enbridge Energy Partners (NYSE: EEP) (and previously Midcoast Energy Partners or MEP, which has since been reconsolidated) and TC Pipelines LP (NYSE: TCP). Both Enbridge and TransCanada look to optimize their capital structure by having these entities, with stable pipeline projects in the S-Corp allowing Enbridge and TransCanada to sell off stakes at a much higher multiple (that can be rolled into higher returning projects from beginning to end – such as pipelines in Mexico or Energy East) while maintaining control and earning an outsized return relative to their proportional share of ownership. During the financial recovery, midstreamers as illustrated by the benchmark Alerian MLP Index outperformed the broader stock market as their strong dividends/distributions to unitholders made them a darling of US retail investors due to the deferred tax nature of their corporate structure (less attractive to foreign retail investors due to US withholding tax complications). As bond yields kept falling, midstream yields became more and more attractive. Now, with sentiment of a recovering economy and rising interest rate environment, midstreamers have lagged along with other yield focused industries such as real estate and utilities. For midstream companies, analysing cash flows are different from standard corporates because the first important line is operating margin instead of revenue. This is because aside from the riskiest midstreamers who take commodity price risk, most contracts are fee based or take-or-pay – as such, the variation in revenue and COGS is irrelevant because money received is based on volume – although the revenue and COGS from unit purchases are still recorded in the financial statements. For MLPs that will need to fundraise for growth capex, analysts will look at the ability to recontract with shippers (the companies that pay the midstream companies to move their product) and fee escalators in existing contracts. EV to adjusted EBITDA is an important valuation metric for pipelines. Given the steady nature of their cash flows, multiples can be high compared to more cyclical industries such as oil and gas production. Depending on where the economy is in the business cycle, midstreamers will be compared to their historical peak, trough and mid-cycle multiples. Net Debt to EBITDA is also an important metric for midstreamers due to the large debt piles they have that are sustained by their steady cash flows. Once they become too high, this means that fundraising for new projects will fall heavily on possible equity raises, which will keep a lid on price appreciation. Despite the flak Canadian midstreamers may get from debt investors and lenders for their leverage levels, they are usually prudent compared to many small to mid sized players in the US. The higher the yield, the more investors like the unit – however an enticing yield usually suggests problems with operations or leverage. Cash flows are fairly well known and book values are linked to allowed returns from energy or transportation regulators, so Book Value is a check on valuation along with other industries with heavy capital assets. Same as for utilities and real estate. Distributable cash flow is an important metric for midstreamers as with other reliable cash flow industries such as real estate and utilities. Distributable cash flow is the cash flow that can be returned to unitholders/shareholders. When equity analysts mention DCF for pipeline companies, it often means distributable cash flows, so this should not be confused with discounted cash flow. Usually distributable cash flow is EBITDA – Interest – Maintenance Capex (the capital expenditures required to maintain operations as opposed to growth capital expenditures) – Distributions to Preferred Shares/Preferred Dividends – Taxes (if any – MLPs and other S-Corps do not pay at the corporate level). From a valuation standpoint, analysts will look at Price/Distributable Cash Flow and solve for DCF/share. Analysts will also look at DCF/unit or share versus the Dividend/unit or share for a DCF payout ratio or DCF coverage ratio. If this gets too high, it can be problematic for the unitholder.